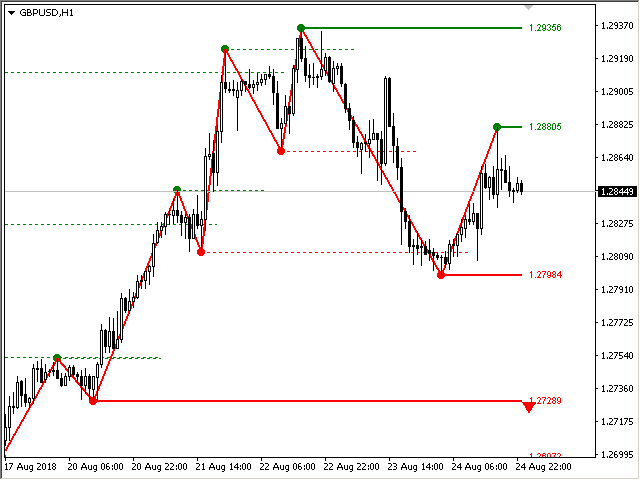 Multitimeframe ZigZag indicator. 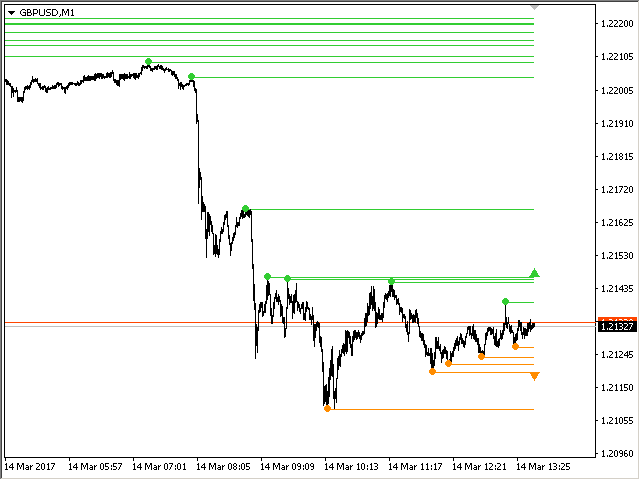 It displays the support/resistance lines and their breakouts, as well as draws the current targets of the market. 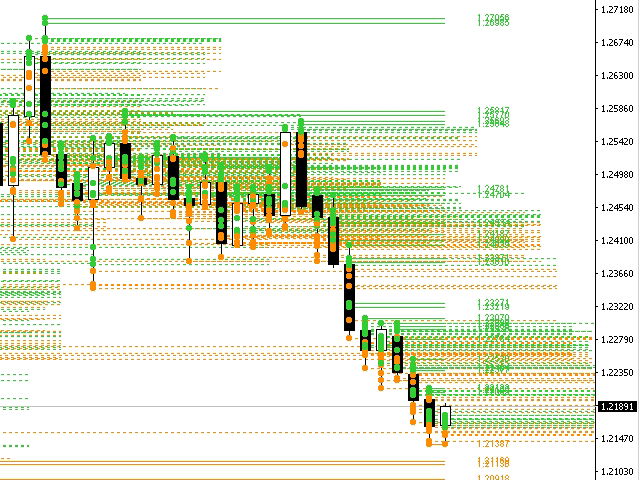 It can also display lines of the Fractals indicator and candles from other periods (up to Quarterly). 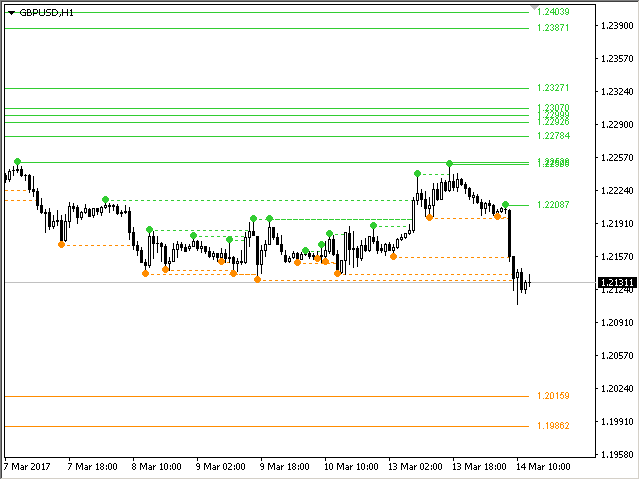 The indicator redraws the last (current) point, and in some cases can change the last 2-3 points. This version is for MT5 only. All lines are drawn as objects (not indicator buffers). 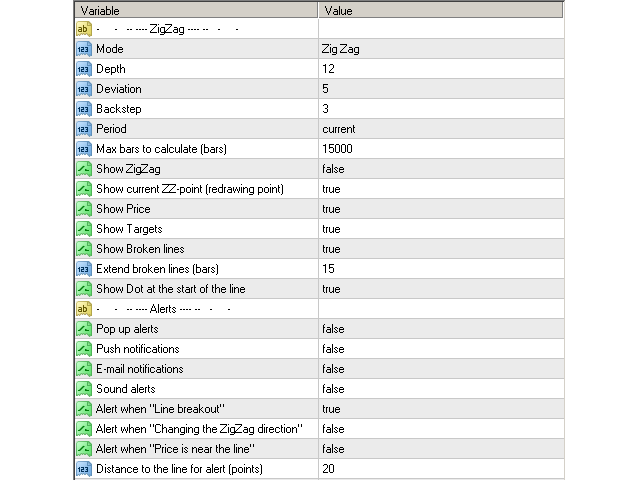 When used in an Expert Advisor, you can read ZigZag points using iCustom. For this you need to specify the number of points in the very first parameter. The current (last) point will have an index of 0, the previous index of 1, etc. //Calculate the last "10" points, and find out the current price-time. Prefix global variables — prefix for Global Variable names. It does it very well. Happy with it. The author is very helpful. 1) Added new mode "ZigZag Close". 2) Added alert when the price is near the line. 1) Fixed a bug in the calculation of the time of the end of the line. 1) Added the ability to read points using iCustom. Points are saved sequentially in the indicator buffer. 1) Added the name of the pair, to the prefix of the global variables. 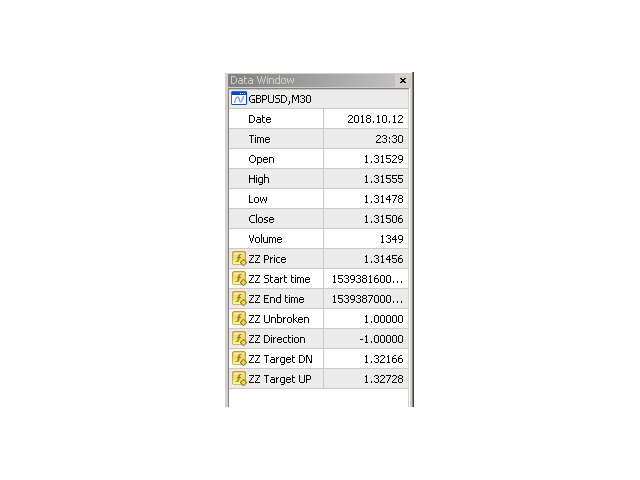 1) Added displaying the current point - "Current ZZ-point (Redrawing point)". 2) Added options for saving points in the Global Variables. Now you can read the coordinates of points using EA. 4) Fixed bug of double fractal. 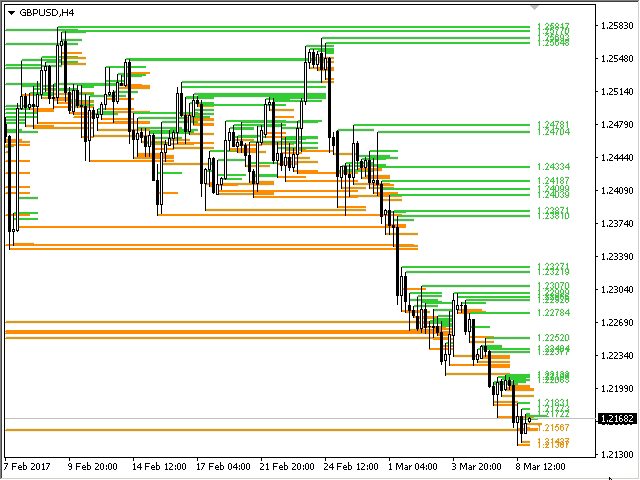 1) The indicator can now draw levels using Fractals. 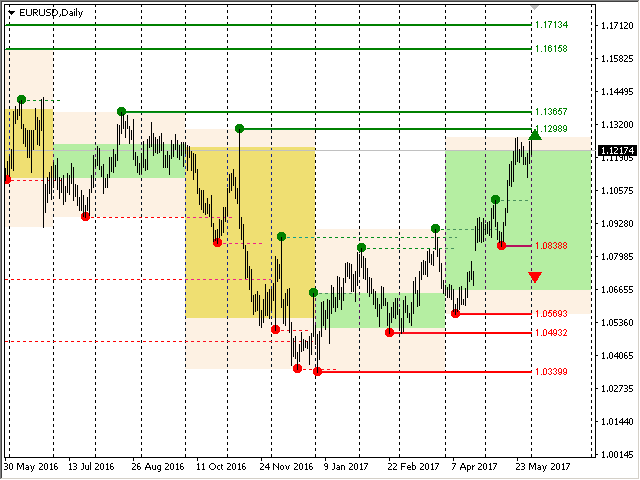 The "Draw Support & Resistance on the Fractals" parameter. 2) Added the option ti disable dots at the beginning of lines using "Dot at the start of line". Also, there is an option to set the size of these dots using "Font size dot". 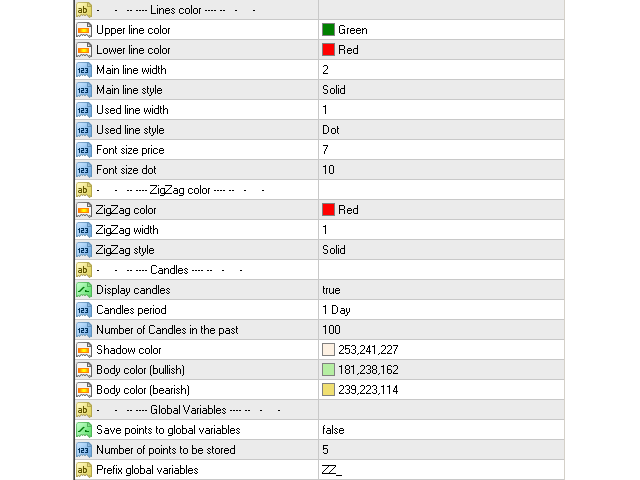 3) Now you can run several instances of the indicator in one window. 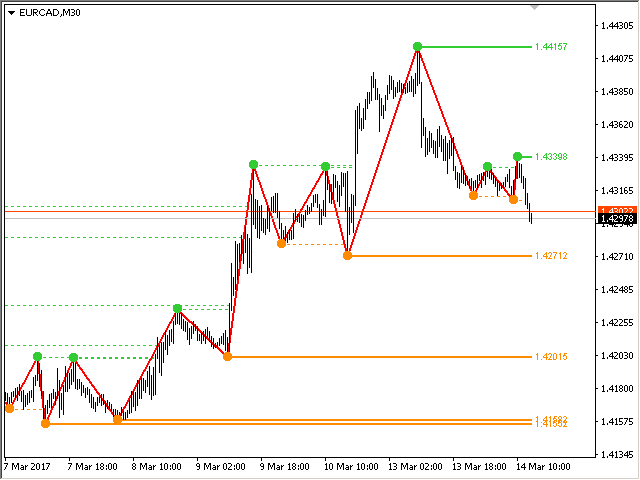 1) Added option "Add alert when changing the direction of ZigZag"
1) Added Candles of other periods (up to Quarterly).